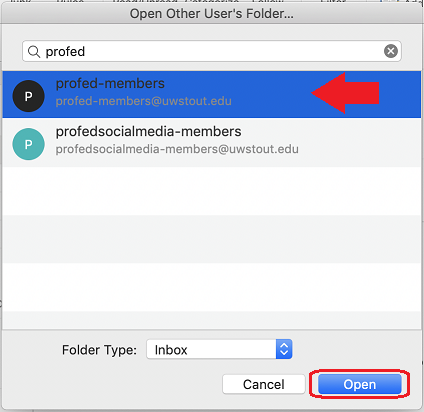 Once you are added to a shared inbox, you will need to open it. 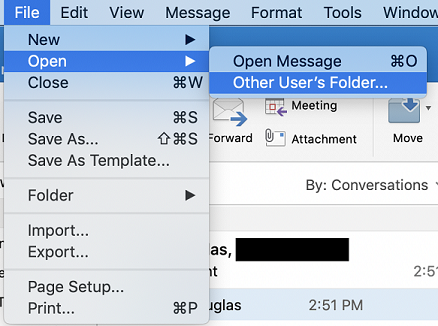 This article walks you through the steps using the Outlook desktop app for Mac. Type the Shared E-Mail Address and click Open. *Note* Some groups may show up as username-members and that's OK.
You will now see a Checking Permissions icon. Once checking permissions has completed, the shared mailbox should populate under your main mailbox (left panel).